Which destroyer line for me? Hey everyone, I've taken an interest in the destroyers in WoWS. I grinded up to Kagero and Mahan, but I can't decide which one to continue (or if I should start a new line entirely). My stats overall aren't great, but in IJN DDs, I've doing really good until I got to the Kagero. I'm a very aggressive player (which gets me killed a lot), but I want a DD that rewards this playstyle. In most of my games, torp damage gives me the majority of my overall damage. Please help me decide which line to grind. Thanks! Aggressive? Go back for the USN then. Mahan is a bit of a meh ship, but the Benson and onwards are all great or excellent. The Fletcher the pinnacle of the USN destroyer line and arguably one of the best destroyers in the game. The Benson, Fletcher, and Gearing all have good torpedoes with the Fletcher and Gearing really shining in theirs. Fletcher's torps have really high damage and great stats overall. Gearing can be built as a torpedo boat with super-speed torps that go 13km and have low detection. Aggressive = USN. Go that route for DD's. And don't forget their rapid turret rotation and nearly machine gun rate of fire (with captain skills) - USN guns are highly dangerous close in but are hard to aim at range with their high shell arcs. I play the Pan-Asian line and really like them. They may not be the most aggressive - except for the Lo Yang with it's super hydro which makes it a DDs hunting machine - but they all have best in class smoke and deep water torps that punish capital ships (but can't damage DDs). But if it's best for me, I'll do it! Why limit yourself? Play both. Kagero, Yugumo, Shimakaze, (and Akizuki) are all great ambush predators. Besides, Shima is worth it just to hear the BB drivers whine about walls of skill. The Americans actually get a real destroyer at Fletcher, so you are almost there. Grit your teeth and grind through Benson and her arthritic manatee torpedoes. I prefer the Pan Asian DD’s overall. The Yueyang has Gearing guns if you need them, and the torps actually hit because of the stealthy spotting distance. Gearing torp reload times are also slooowww, so even if you build as a torp boat, you will need to be spamming HE a lot to maximize your effectiveness. If you’re aggressive in terms of torping rather than knife-fighting, the Shimakaze’s 8k F3 torps are for courageous captains only. They’re speedy, hit hard, and reload quick, but 8km is well within radar distance. Heck, at T10 8km is practically brawling. So... describe better what your playstyle is? Khabarovsk is Russian for "AGGRESSIVE"
I'm just guessing but the reason your having problems with Kagero could be that Kagero is dangerously slow. It's hard to aggressively push in and torp, and safely extract yourself. Again, it's just a guess, but if that's part of the problem you're having with Kagero, try using speed flags. Also, I am assuming you're using camo and have concealment expert on your captain? This brings concealment down to an amazing 5.4km. The IJN dd's will definitely teach you good habits as a dd player- spotting, torping, how to "go dark" and the IJNs have the speed to escape... The Shima buffs also give the IJNs best in tier conceal at tier 10, very good for cap contesting even though the guns are sub par. I would level up all of the dd lines- they all have their merits. I got the Gearing first, because it is so strong and well rounded. The z-52 was second because I wanted to be able to push caps- but the guns at close range really are situational... And the z-52 can teach you some bad habits like pushing the contested cap too early. Next for me are the Yueyang (same guns so same skillset as the Gearing) and the Shima. I have tried to work on the Russian line but wow that is a TOTALLY different playstyle and mindset then everything else. It is frustrating! So I would do the Russians last. My stats overall aren't great, but in IJN DDs, I've doing really good until I got to the Kagero. I do ok in IJN DD's until the Kagero. It and, now the Harekaze, are enigmas. I do well other than WR. Good news, the Yugumo is awesome. That extra 2km on Torps seems to really multiply the influence at that tier. I do a lot of capping and spotting. I just can't actively contest the caps. Spotting damage gets insane though. If your goal is Tier X, get the Z-52! It’s easily the best cap bully because of the hydro, and the guns are good too. Note that the hydro doesn’t really become amazeballs for capping until the 52, although from the Maas on up you’re a good DD killer. If it’s between US and IJN only, then USN is your clear choice. Benson/Fletcher/Gearing are all great boats. IJN is arguably the most difficult line to play. Those that hit the Kagero and have some difficulties are right in line with reality. Hitting T8 changes the MM situation, in that you're often up-tiered with ships that will devour you if you're not careful. I ran into the same thing, but now Kagero and Yugumo are my best ships; I welcome T10 match-ups in either ship. You can actually run into the same effect with the Benson and the Z-23. I ran into it myself with the Russians and gave up on them. However - IJN requires that you play ninja from T8 up. Embrace the ninja style and you'll do well eventually. Fail to do so will lead to a life of frustration. But there are few joys in this game like being in an invisible IJN DD and dismantling an entire enemy wing in three minutes. It doesn't happen often, but it is a wonder to behold (even when it's not me). And IJN will require that you learn torp mechanics more than any other line - if you want to be successful. You can't rely on potatoes - you absolutely have to get better as you progress. IJN DD aggression is channeled differently. Yes, I use my guns, far more often than most of my counterparts. I even gunned down a Z-46 with equal health not long ago (stern chase with my 4 guns against his 2). 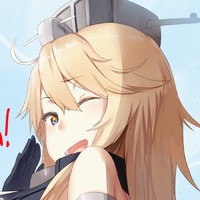 It's a massive shock to opponents when a Shimakaze or Yugumo opens fire on them, and I've had some opponents get really salty with me when they realize they're being outgunned by a Yugumo (1 even declared that I was cheating). But the guns are hyper-situational and MUST be used with extreme care. IJN aggression is channeled into the torps, and the long wait for them to run to the target. Consider this: in one game recently in ranked, I dropped 120k damage on an enemy parking lot in a single shot (campers take note!). Not many other ships can do that. Aggressive? Absolutely. Just differently expressed. USN will allow you to contest caps and play more "aggressively" in general terms. The Germans allow you to do this as well, and the Russians outright require it. Secondly, remember that IJN will teach you things that will translate into every other line. If you can master IJN DDs, you can play any DD line in the game. USN will be a the ultimate jack-of-all-trades that will literally allow you to do anything you want. If you want "aggressive" go Soviet. The USN line is fine and all... but their terrible firing arcs, MEH torps, and the proliferation of radar/hydro force them to be used as stealth boats mainly. As in... you're too bloody close to be "aggressive" because if you pull the trigger, you'll get primaried and popped very quickly. They struggle at ranges of over maybe 8kms. The Russian DD's however are so fast and tough... stealth matters not Comrade. In Soviet Russia, stealth is for the pussinks. Just spam HE and AP from long range non-stop and know that there is nothink better than Stalinium. All destroyers and battleships will melt under the weight of mother Russia's lazor cannons. After the Krakens... celebrate with Wodka. Um, define aggressive. Up front contesting caps? No. Sailing with ur cruisers and shelling ships? Yes. Khab shouldn’t even be classed as a DD. She’s a CL. I'm a very aggressive player (which gets me killed a lot), but I want a DD that rewards this playstyle. In the DD class, this play style is non-existent in the higher tiers. There are to many obstacles in the higher tiers to will frustrate you playing overly aggressive. I know you want to play and be rewarded for your play style, but I recommend tier 4 and 5 for your play style. Upper tiers, well its a whole new learning curb. IF you want to play DDs in the upper tiers then I recommend Russian DDs. Like I said its a learning process so GL. Learning DDs or any ship class or nation can be a process, so hang onto the Kagero since it’s like a stealth bomber where you sneak in, drop your Torps, then turn and slip away undetected. And you might like this style later. USN DDs, IJN second DD Line, German DD line, and Russian DDs are Gun Boat DDs, they play more aggressively, take caps, fight it out with enemy DDs, light fires on BBs and maybe get to Torp them, and carefully fight cruisers depending on the situation, but Cruisers tend to be DD killers so they can be little trickier to fight against. Also the HSF Harekaze which is a Kagero Variant is a hybrid between the stealthy IJN DDs and the Gunboat IJN DDs.